Ethnic groups: Chakma, Marma, Tripura, Tanchangya, Mro, Lushai, Khumi, Chak, Khiyang, Bawm, Pangkhua. They collectively identify themselves as the Jumma people (High Landers), the first people of the CHT. Besides them, a very small number of descendents of Ahamiya, Gorkha and Santal also live there. 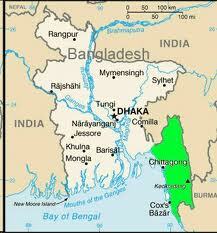 Main cities: Rangamati, Khagrachari and Bandarban. Language: Ten indigenous languages within the Jumma community. Religion: Buddhist, Hindu and Christian. 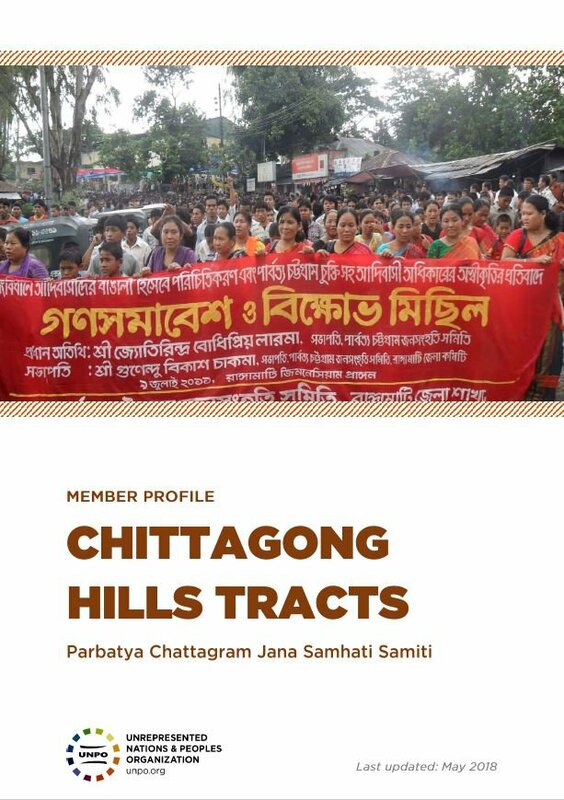 Parbatya Chattagram Jana Samhati Samiti (PCJSS) is a political organization representing the indigenous Jumma people of the Chittagong Hill Tracts (CHT). 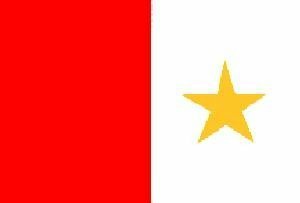 It was established on 15 February 1972 with a humanitarian ideology based on the principles of Nationalism, Democracy, Secularism, Equality and Social Justice. The founder of the PCJSS was the forerunner of the renaissance of the Jumma people, member of the Gona Parishad (Constituent Assembly) and Parliament Mr Manabendra Narayan Larma. The CHT Accord was signed with the aim to resolve the CHT conglict and pave the way for peace and development for indigenous peoples living in the region. The CHT Accord provided recognition of CHT region as a tribal-inhabited region, introducing a special governance system based on an institutional structure formed by the CHT Regional Councils and three Hill District Councils (HDCs), and transfering competences on general administration, law and order, police (local), land and land management, development, education, health, environment and forestries, demilitarization of the region, resolution of land disputes, rehabilitation of returnee Jumma refugees and internally displaced persons, and the setting up of a CHT Affairs Ministry at national level. Soon after signing of the Accord, the then Awami League government implemented provisions including the enactment of laws following the CHT Accord. It created a fundamental base for the implementation of the CHT Accord, among them passing the CHT Regional Council Act and HDC Acts in Parliament, establishing the CHT Affairs Ministry, repatriating Jumma refugees from the Indian State of Tripura etc. However, the main issues of the preservation of status of the tribal-inhabited region, the introduction of special governance system in CHT with CHTRC and HDCs, the resolution of land disputes, and the demilitarization of the region are yet to be implemented. The current situation in the CHT region is highly conditioned by the lack of implementation of the main provisions envisaged in the 1997 Peace Accord, which has led to an increase in tensions between the central government and the indigenous communities. These tensions derive in particular from the presence of the military in the region, more than two decades after the signing of the document, as well as from the worsening of the restriction of rights and level of human rights violations committed against the local population. Please download our Chittagong Hills Tracts Member Brochure.